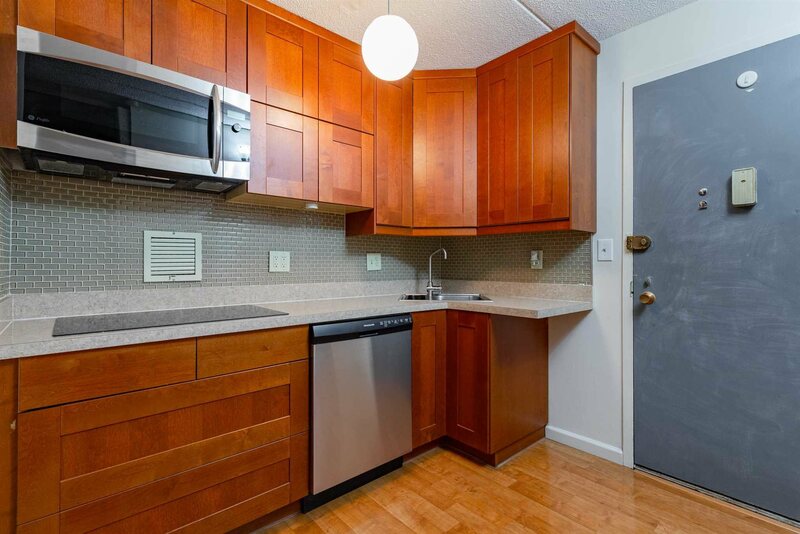 WELL-MAINTAINED AND TASTEFULLY UPDATED ONE BEDROOM UNIT IN EXECUTIVE TOWERS, A HIGH-RISE BUILDING JUST MINUTES FROM ROUTE 9, SHOPPING, HOSPITALS, TRAINS & COLLEGES. REMODELED KITCHEN W/CUSTOM CABINETRY, INDUCTION COOKTOP, CONVECTION MICROWAVE & SUBWAY TILE BACKSPLASH. WELL-PROPORTIONED DINING ROOM/LIVING ROOM COMBO. BEDROOM W/DUAL CLOSETS. ABUNDANT STORAGE IN-UNIT VIA TWO CUSTOM CLOSET UNITS IN KITCHEN & LIVING ROOM. WASHER & DRYER ON PREMISES. RECENTLY UPDATED LOBBY & ELEVATORS. ON SITE AMENITIES COMPRISED OF BEAUTIFUL INGROUND POOL & MEETING ROOM. MONTHLY HOA FEE INCLUDES TAXES, WATER, SEWER, HEAT & HOT WATER. MAINTENANCE FREE LIVING AT ITS FINEST.